With our Olympic sized outdoor and heated indoor pools, you have the opportunity to add a new and challenging facet to your fitness fun program. Supervised by top qualified lifeguards, your swimming can’t be any safer. 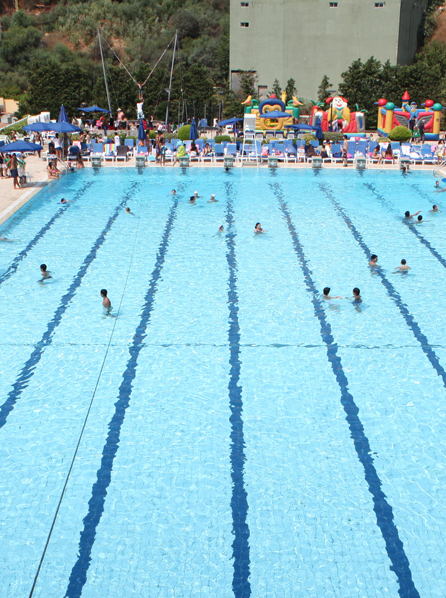 Children under the age of 4 years are not allowed within the pool enclosure unless accompanied by an adult. Private individual and group swim lessons are offered by our highly skilled instructors at affordable prices. Don’t hesitate to contact the sports department for any inquiries. 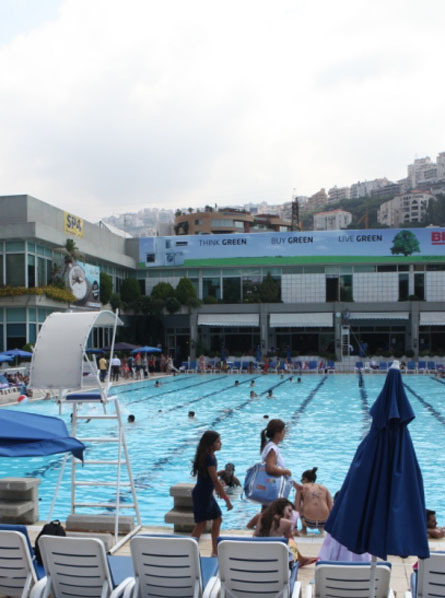 Our Olympic sized outdoor pool allows you to have fun, play around with your friends, and to practice your swimming strokes. Two lanes are always reserved strictly for swimming, assuring you no disturbance while you train. A restaurant and a snack bar are also available for you to enjoy your lunch under the sun. Winter will not be an obstacle because we also have an indoor heated pool. Swimming lessons are also available. To enroll in swimming lessons please contact the receptionist.